Now accepting applications for the 2016 edition of the fair. 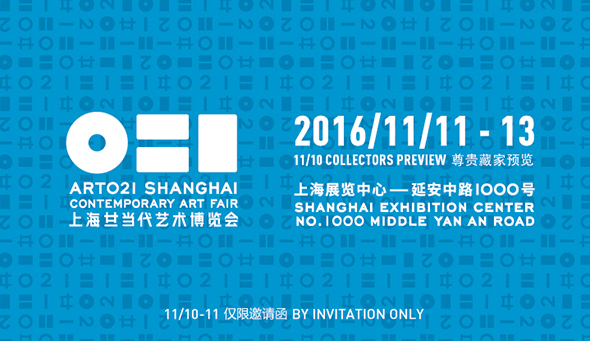 From November 10 to 13, ART021 Shanghai Contemporary Art Fair will stage the 4th edition in Shanghai Exhibition Center. With 2015 ART021 successfully held at the Shanghai Exhibition Center for the first time, the 2016 edition will continue on its previous success and will once again present a prestigious line-up of galleries and art organizations, offering the most celebrated art festival from Shanghai. ART021 is pleased to announce the appointment of Thomas Wuestenhagen as the new Fair Director. Mr. Wuestenhagen served as a Management Board Member and Head of Gallery Relations at Art Basel prior to joining ART021 as a member of the Executive Committee in 2015. With his extensive experience working with international art fairs and galleries he will steer ART021 to new heights, fostering critical international visibility by strengthening connections with notable galleries, collectors, artists and organizations. ART021 is currently accepting applications to Main Galleries and Approach. Approach is for projects featuring a solo presentation—a curated project or body of work by a single artist, as well as featuring curatorial approaches—or a curated group show including up to three individual artists. Application forms outlining the procedures and relevant costs for each sector can be downloaded from www.art021.org. The application deadline for Main Galleries and Approach is April 30. For further details regarding the fair or application procedures, please contact our team at application [​at​] art021.org. Established in 2013, ART021 Shanghai Contemporary Art Fair is a leading international art fair in Shanghai. The fair features the world’s most prestigious galleries and organizations, offering a global platform for dealers, artists, collectors, sponsors, museums and non-profit organizations to share the exciting developments of contemporary art, fostering cross-cultural dialogue and stimulating creative thought. ART021 will continue joining local resources with a global perspective, offering a critical platform of curated excellence and professionalism.